Micron Corporation, a semiconductor company based in Boise, Idaho, just recently purchased Intel’s remaining share of IM Flash Technologies for $1.5 billion. IM Flash Technologies was created in 2006 as a joint venture between Micron and Flash to create 3D Point technology, which is a type of non-volatile technology that can retrieve stored information even after having been power cycled, and the technology was being on operated under the brand names of Optane (Intel) and QuantX (Micron) since April 2017. Micron CEO Dave Zinsner has clarified that Micron will pay the buyout from free cash flow the company will be receiving soon and he expects the deal to officially conclude in six to 12 months after it is able to exercise call options on Jan. 1, 2019. Micron is also planning to buy back its remaining shares of $10 billion as part of a broader capital returns program, which including Micron’s pledge to pay more than 50% of the free cash flow to shareholders in the 2019 fiscal year, was considered by analysts as larger than expected. In July, Micron and Intel had agreed to complete the development of the second generation of 3D XPoint technology by the first half of 2019 as the arrangement would encourage Micron to develop its own technology roadmap to optimize its business mix. 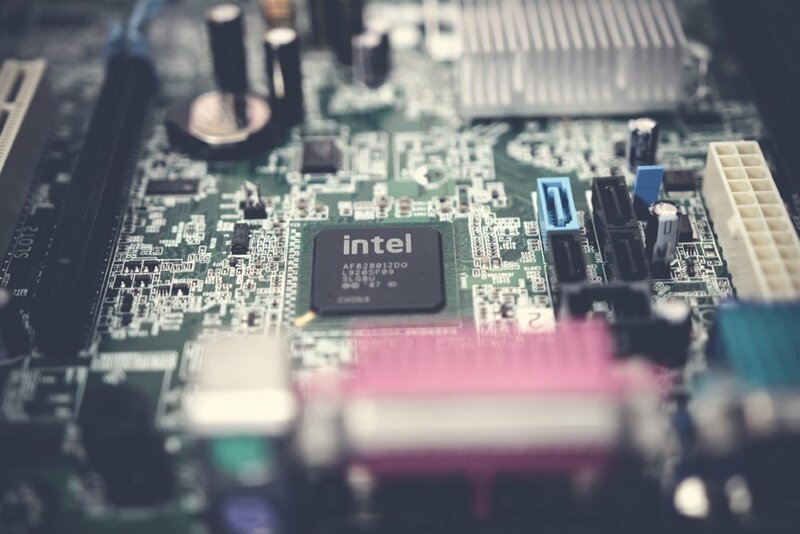 The joint arrangement will also allow both Micron and Intel to work independently on technology development beyond the second generation of 3D XPoint technology. The Micron management had stated that the purchase of Intel’s remaining shares in IM Flash Technologies came off of a partnership between Micron and Intel that invested over $6 billion since IM Flash Technologies was first created in 2006. The purchase of Intel’s remaining shares are reducing member debt, which is currently $1 billion to zero on Micron’s balance sheet and it’ll also bring new additions to the Micron staff as the company will hire IM Flash employees to accelerate development commercialization of Micron’s emerging memory-based technology. The agreement between Micron and Intel also came with a price as the companies dissolved one agreement they had in regards to developing NAND flash technologies and after the second generation 3D XPoint technology gets developed, both companies agreed to no longer develop Optane as well. Previous agreements in the past between Micron and Intel will keep the price that Intel pays for Octane steady for a year after the deal between the two companies closes, especially as the deal is expected to complete in 2020 or 2021, Micron has already planned to introduce its own competing products based on 3D XPoint and other emerging memory technologies. Intel’s response after Micron’s purchase of IM Flash Technologies will not disrupt its own plans to create their own products relating to 3D XPoint and Intel is confident that it will have enough time start production on those products. As it awaits Micron’s expected 100% ownership of IM Flash Technologies’ fab (facility lab) in Lehi, Utah, Intel has already finalized Octane’s roadmap for the upcoming quarters. One previous agreement had Intel purchasing a long-term supply of chips from IM Flash at a manufacturing cost and with Micron’s purchase of Intel’s remaining shares, the two companies can construct a new supply agreement which can still allow Micron to supply Intel with their 3D XPoint memory wafers for a year at pre-agreed prices. Another option that Intel is considering is manufacturing 3D XPoint memory at Fab 68 in Dalian, China although that fab is currently busy making 3D NAND, which will let Intel adjust its production plans regarding enhancing memory technologies. Before the announcement of the purchase, IM Flash’s share price had a year-to-date performance -3.31 percent and looking at this past year of trading, IM Flash’s price performance is -4.19 percent. At the most recent market close, this stock’s last recorded price was $39.76. Intel’s common stock on the other hand, in the full-year period that ends on Dec. 18, analysts predicted that this Intel, which is a publicly-traded company, will see its mean sales reach $69,542 million. In terms of financial performance between the two companies, as Intel's earnings have grown by an annual average of 7.8 percent over the last five years and its revenues rose 3.3 percent per year, Micron's earnings have increased 44 percent on average, while its top-line sales grew by 20 percent per year. The memory chip market has seen its fair share of unstable and stable periods fluctuating over time and Micron is expecting a strong market demand for smartphones with vast quantities of memory, automotive computing, and solid storage devices to support a profitable production level in 2018 and 2019. In March of this year, Intel had reportedly entered talks with China’s Tsinghua Group about supplying the 3D NAND wafers. Intel entering talks with Tsinghua Group, as well as considering talks with another Chinese foundry operator, Yangtze Memory Technologies Company, there would be concerns from the U.S. government and also from influential figures and companies in the U.S. tech industry about the possibility of Intel revealing sensitive technologies to companies based in rival states such as China. The announcement of Micron purchasing Intel’s remaining share of IM Flash Technologies could possibiy usher in a period where non-volatile memory technology will be in high demand from companies who want to create products like smartphones and tablets that incorporate plenty of memory space. Having a large quantity of memory in smartphones and tablets will guarantee a huge demand for the products, which will not only increase the phone companies’ profits, but will also allow Micron to be a reliable and premier supplier of memory technologies for many tech companies globally.